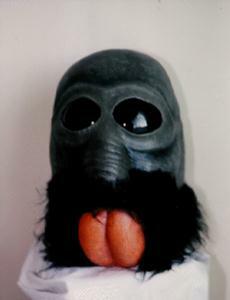 Walrusman Mask: This one always looked just a wee bit goofy to me. I don't know exactly why, though i suspect it has something to do with the fur. It does bear a nice resemblance to the cantina creature though. It's too bad that Kenner's version wasn't quite so authentic. Especially in the wardrobe area.